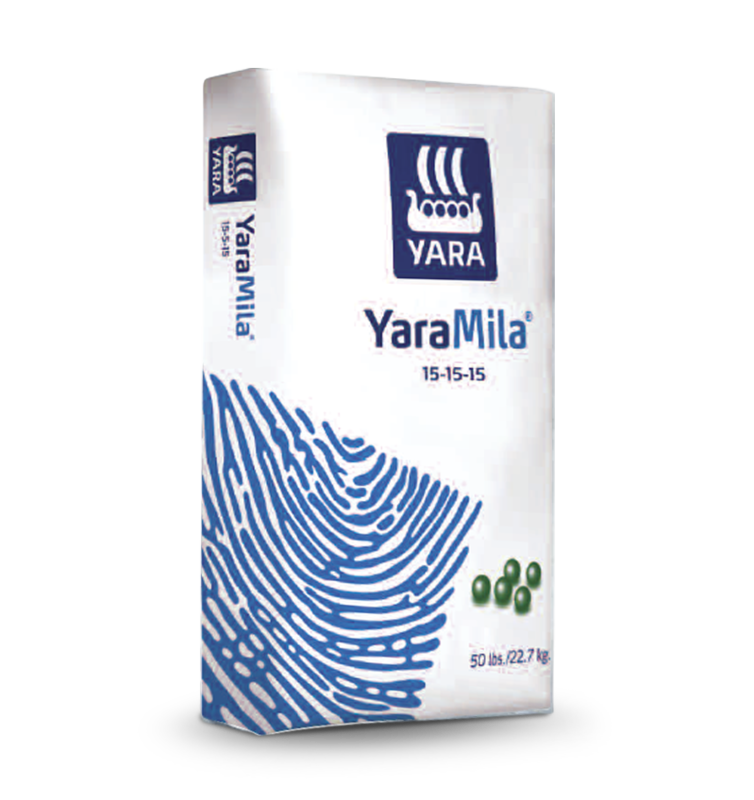 More than anything else, Yara Mila® 15-15-15 offers completeness. Every prill of YaraMila® contains N, P, K in the same proportion, so there's no segregation of nutrients. YaraMila® 15-15-15 also contains sulfur to ensure optimum leaf chlorophyll content. Derived from: Ammonium Nitrate, MAP, DAP, Calcium Phosphate and Potassium Sulfate. Every prill of YaraMila® contains N, P, K in the same proportion, so there's no segregation of nutrients. 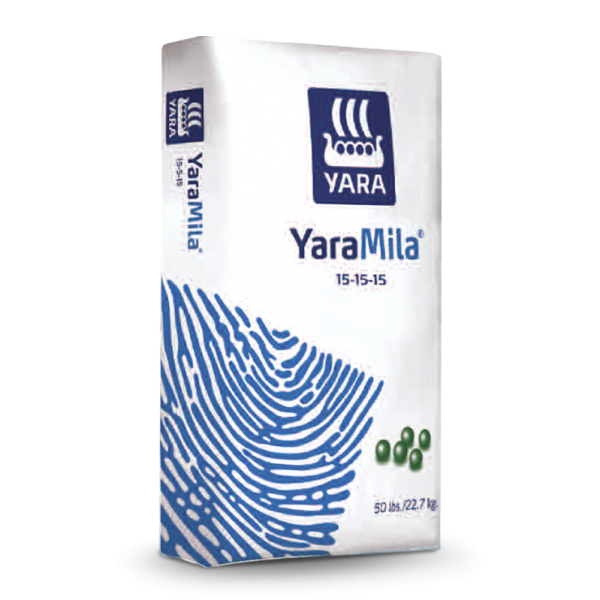 YaraMila® 15-15-15 also contains sulfur to ensure optimum leaf chlorophyll content. 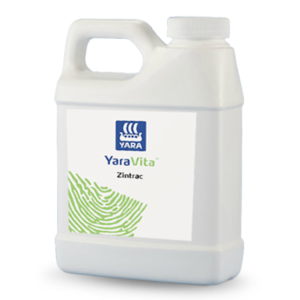 YaraMila® products include a balance of nitrate and ammonium nitrogen, making them significantly more effective than urea or ammonium based fertilizers per unit of nitrogen. Yara's nitrophosphate production process gives YaraMila® products a unique combination of polyphosphates and orthophosphates. These forms give greater availability of soluble phosphate to crops over a wide range of soil types. YaraMila® 15-15-15 is based on Potassium Sulfate, targeted for use on high value crops. This low chlorine source of potash gives superior quality compared to standard muriate based NPK's. 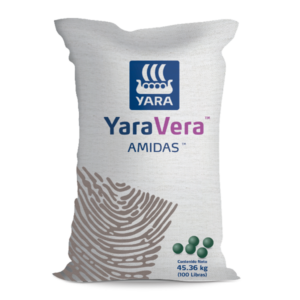 YaraMila® prills are specifically designed to allow easy and accurate spreading by machine or hand.